April 30, 1998 I was 13 years old . The sun hit my face as my mother pulled into the parking lot of this unfamiliar place. While it was a bright sunny day I was living in a world of darkness. I knew why I was there and was dreading it. 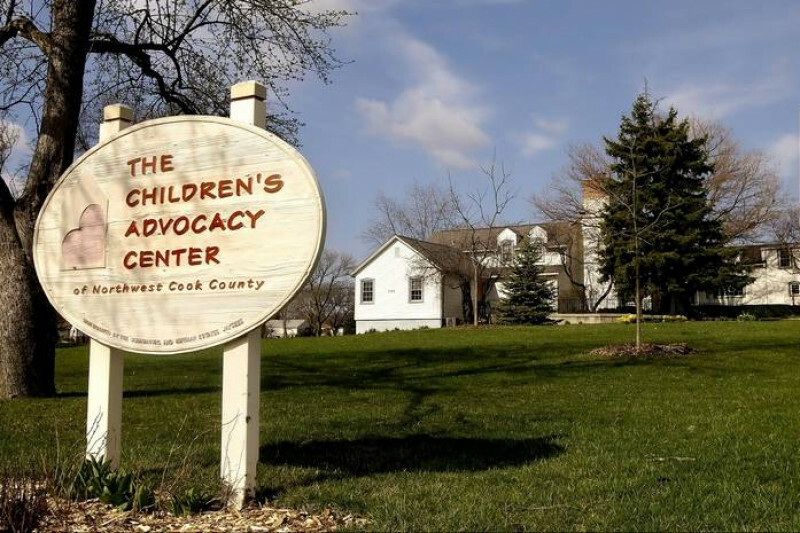 This place was called The Children’s Advocacy Center in Hoffman Estates, IL. As my mother, sister, and I walked a path to the front door the anxiety and fear filled me. I just wanted this day to be over. My sister and I put on the movie the Charlie and the Chocolate Factory. Eventually my mother still in tears joined us in the waiting room again. Shortly after another woman appeared named Meghan. She explained to my sister and I we would be going back and talking to her. I went first and followed her out of the waiting room and down a hallway where we came upon a small room. I sat down at the table and couldn’t help but notice the two naked dolls under it. There was this large mirror in such a small room that I just kept staring at my reflection. I was consumed with anxiety, fear, shame, and guilt. I thought I was in trouble and they wouldn't believe me. I didn’t know it but a police detective and child protective services was on the other side watching us. Soon Meghan and I began talking about school, my life at home, my relationship with my sisters, and eventually we began talking about the secrets I kept locked away in my diary. I was so uncomfortable describing one story after another of sexual assault I experienced at the hands of my older cousin. The cousin I looked up to as the brother I never had. She took notes as I told her the multiple times of sexual abuse I experienced from age 11-13 while I babysat, family gatherings, grandpa’s birthday, Thanksgiving, Christmas Eve, family dinners, etc. Eventually she pulled those two dolls out and I had to demonstrate what happened to me. Meghan showed such compassion and support through the entire interview with me. The more I talked the better I was feeling getting all these secrets I was threatened not to tell anyone. I had been with her for an hour when we finally finished. She told me how brave I was and took a lot of courage to tell her. She reassured me my cousin would never hurt me again. I walked into the center terrified and left feeling loved and cared for. It takes a special person to work at a CAC hearing daily horror stories of children being physically and sexually abused. Five months later I would return again to the Children’s Advocacy Center this time to be a part of a support group with other girls my age who had also experienced sexual abuse. We met for several months and over that time I made a special bond with these girls that I didn't have with my other childhood friends. Some I am still very close to today. The Children’s Advocacy Center also provided a support group for my parents, younger sister, and individual counseling. It became a safe place to begin my long road to healing during such a traumatic time in my life. The Children’s Advocacy Center helped our family for a year and a half and it was all free. What could have cost thousands of dollars cost us nothing. Being a 501c3 nonprofit they do not charge families. I made a promise to myself back as that young teenager that one day I would come back and show my appreciation for the help they provided me at such a difficult scary time in my life. 15 years later I walked back into that center with every Chicago news team, the Governor of Illinois, along with other legislators, and child abuse prevention educators. We were all there to watch Erin's Law be signed by Governor Quinn. The law that requires children be taught personal body safety in school once a year. I have made it my mission to pass Erin's Law in all 50 states. So far 31. I wanted my law that gives kids a voice to be signed in the place I found my voice. With state funding in Illinois continuing to be cut back for nonprofits CAC's must get funds from donors in order to keep their lights on, water running, and providing such important help for abused children. April 30, 2018 will mark 20 years I reclaimed my voice at the CAC. I've shared my story with millions since then from Oprah, Today, CNN, GMA, People Magazine, Time Magazine, Glamour Magazine, among many others. I want sexually abused children to receive the same love, support, and care I got 20 years ago and that is why I am trying to raise $20,000 by April 30th. Your donation is tax deductiable. Will you help me by donating what you can? $5.00, $10.00, $25.00 $100.00 dollars. Can you share this and ask others to do the same. One child abuse case at the CAC costs several thousand dollars when you add up the forensic interview, adovcates that go to court to help children through the legal system, counseling, and medical exams used for court evidence. Thank you for your support and helping me reach my goal. The children and families you will help are will be grateful.